LONDON - Evidence from tissue culture experiments show that popular dietary supplement carnosine may help prevent and treat cataracts, which is a leading cause of vision loss worldwide. Enrico Rizzarelli from the University of Catania (Italy) who led the study and colleagues note that the only effective treatment for cataracts is surgical replacement of the lens, the clear disc-like structure inside the eye that focuses light on the nerve tissue of the eye. 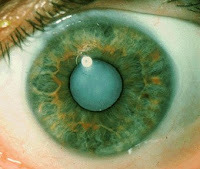 Cataracts develop when the main structural protein in the lens, alpha-crystallin, forms abnormal clumps. The clumps make the lens cloudy and impair vision. Previous studies hinted that carnosine may help block the formation of these clumps. The scientists exposed tissue cultures of healthy rat lenses to either guanidine - a substance known to form cataracts - or a combination of guanidine and carnosine. The guanidine lenses became completely cloudy, while the guanidine/carnosine lenses developed 50 to 60 percent less cloudiness, said a release of the American Chemical Society (ACS). Carnosine also restored most of the clarity to clouded lenses. The results demonstrate the potential of using carnosine for preventing and treating cataracts, the scientists said. The study will be published July 28 in Biochemistry. Latisse. Making your eyelashes thicker & longer.